SWIFT, the global banking payments network, is to begin testing its GPI payments standard through R3’s Corda platform. In a follow-up announcement, the firm explained that the “integration” will be a trial that will connect SWIFT’s GPI Link gateway with R3’s Corda platform to monitor payment flows and support application programming interfaces (APIs), as well as SWIFT and ISO standards. In the trial, corporates using the R3 platform will be able to authorize payments from their banks via GPI Link; GPI payments will be settled by the corporates’ banks, and the resulting credit confirmations will be reported back to the trade platforms via GPI Link on completion. While the trial initially addresses R3’s trade environment, it will be extended to support other distributed ledger technology (DLT), non-DLT and e-commerce trade platforms. Meurant said that, via GPI Link, banks will be able to provide rapid, transparent settlement services to e-commerce and trading platforms. “Given the adoption of the Corda platform by trade ecosystems, it was a natural choice to run this proof of concept with R3,” he added. 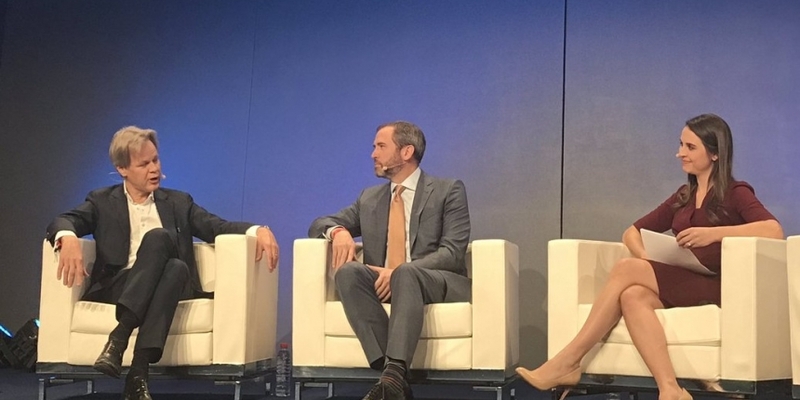 At the event Wednesday, Leibbrandt was onstage with Brad Garlinghouse, CEO of Ripple, which has long coveted SWIFT’s expansive banking network and often cites its aging architecture. In December, R3 launched the Corda Settler, an application aimed to facilitate global cryptocurrency payments within enterprise blockchains and which would use Ripple’s XRP to start. R3 said at the time that XRP was the first globally recognized cryptocurrency to be supported by Settler, bringing the Corda and XRP ecosystems into closer alignment – something of a rapprochement considering Ripple and R3 were previously locked in a legal dispute. Update (12:30 UTC, Jan. 30 2019): SWIFT has clarified CEO Gottfried Leibbrandt’s statement to CoinDesk, saying that the integration is a proof-of-concept at this stage. The headline has been amended to reflect the new information.